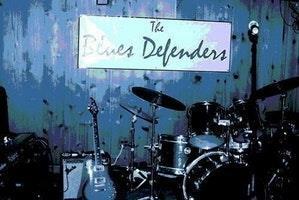 BLUES DEFENDERS PRO JAM EVERY MONDAY! Sonoma County's local band "The Blues Defenders" are dazzling crowds with their "gritty" roadhouse style of passionate West Coast Blues. Individually, they have played with some of the greats in blues music from Tower of Power, Doobie Brothers, Boz Skaggs, Cold Blood, Johnny Lee, and other legendary greats who shaped the world of blues music. The Blues Defenders can "hold their own" on any stage, and are the West Coast support band for the great Mississippi Blues-man "Johnny Rawls". Jeff Piche's gritty vocals and soulful harmonica front the funky bass sounds of Donny Mederos, Mighty Mike Rippee on drums, David Scott's smooth blues saxophone, and Matt Silva's wailing guitar keep the crowd on their feet all night long.